Notice that these two actors are framed within a border of flying, green bats. There is another print from this series in the Lyon Collection, but with a different publisher's seal. See #693. 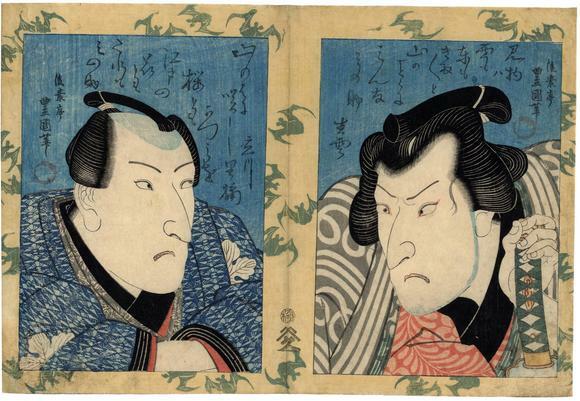 This print has to date after 1825 when Toyokuni I died and Toyokuni II took that name. The figure on the right is an actor playing a sumō (相撲) wrestler.